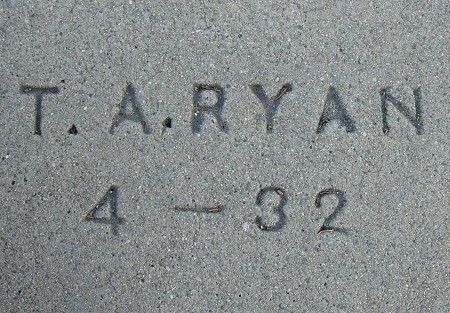 With this mark I’ve almost run the table for T. A. Ryan from 1925 to 1940; at the moment I lack only a mark from 1938. This entry was posted on 4 March 2015 at 12:04 am and is filed under 1932. You can follow any responses to this entry through the RSS 2.0 feed. You can skip to the end and leave a response. Pinging is currently not allowed.